Electronic reproduction of the postcard: Sverdlovsk. 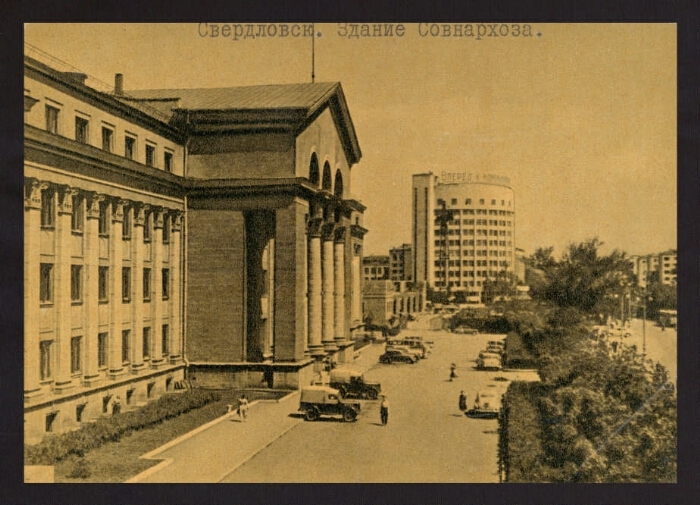 The building of the economic council [Izomaterial]. Izogiz, 1962 (Kalinin: Polygraphic Combine). 1 postcard: offset. A 01909-62. The price is 1 kop. Circulation 100 000 copies. Location: Children's Memorial Museum, St. Petersburg. I. Presidential Library (St. Petersburg) .1. Ural State University. A.M. Gorky (Ekaterinburg, city) - Postcards. 2. Postcards in the Presidential Library fund (collection). 3. Territory (collection). 4. 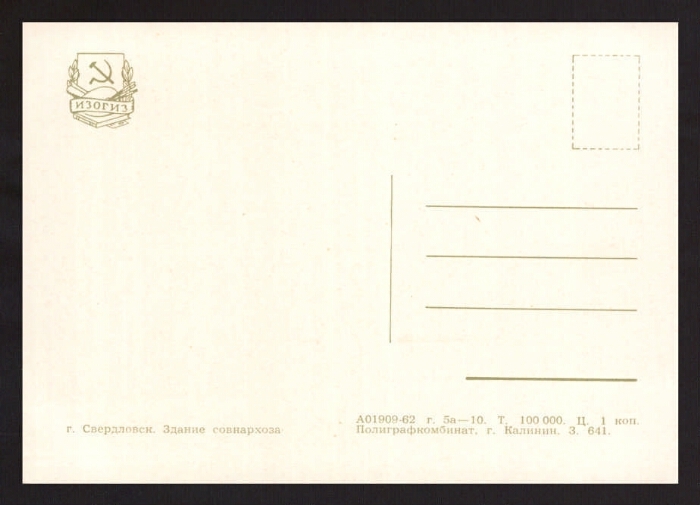 Territory of Russia: Sverdlovsk Region (collection). 5. Sverdlovsk region: pages of history (collection). 6. Ekaterinburg, the city - Postcards. 7. Documentary cards - USSR - 1945-1991.